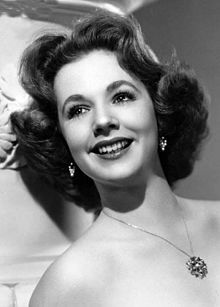 Piper Laurie (born Rosetta Jacobs; January 22, 1932) is an American stage and screen actress known for her roles in the films The Hustler (1961), Carrie (1976), and Children of a Lesser God (1986), all of which brought her Academy Award nominations. She is also known for her performances as Kirsten Arnesen in the original TV production of Days of Wine and Roses and as Catherine Martell in the cult television series Twin Peaks, for which she won a Golden Globe Award in 1991. In 2018, she appeared in the film White Boy Rick. In addition, she appeared with Dana Andrews, Rex Reason, William Talman, Milburn Stone, Douglas Spenser, and others in the 1956 Western "Smoke Signal". Piper Laurie was born Rosetta Jacobs on January 22, 1932, in Detroit, Michigan. She was the younger daughter of Charlotte Sadie (née Alperin) and Alfred Jacobs, a furniture dealer. Her grandparents were Jewish immigrants from Poland on her father's side and Russia on her mother's. She was delivered, according to her 2011 autobiography Learning to Live Out Loud, where she lived in a one-bedroom walk-up on Tyler Street in Detroit. Alfred Jacobs moved the family to Los Angeles, California in 1938, where she attended Hebrew school. To combat her shyness, her parents provided her with weekly elocution lessons; this eventually led to minor roles at nearby Universal Studios. For much of her early childhood, her parents placed Laurie and her older sister in a children's home, which they both despised. 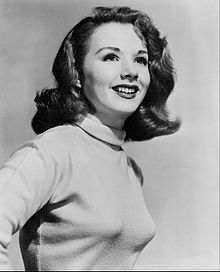 In 1949, Rosetta Jacobs signed a contract with Universal Studios, and changed her screen name to Piper Laurie, which she has used since then. At Universal, she met other soon-to-be familiar actors James Best, Julie Adams, Tony Curtis and Rock Hudson. Her breakout role was in Louisa, with Ronald Reagan, whom she dated a few times before his marriage to Nancy Davis. In her autobiography, she claimed that she lost her virginity to him. Several other roles followed: Francis Goes to the Races (1951, co-starring Donald O'Connor); Son of Ali Baba (1951, co-starring Tony Curtis); and Ain't Misbehavin' (1955, co-starring Rory Calhoun). To enhance her image, Universal Studios told gossip columnists that Laurie bathed in milk and ate flower petals to protect her luminous skin. Discouraged by the lack of substantial film roles, she moved to New York to study acting and to seek work on the stage and in television. She appeared in Twelfth Night, produced by Hallmark Hall of Fame; in Days of Wine and Roses with Cliff Robertson, presented by Playhouse 90 on October 2, 1958 (in the film version, their roles were taken over by Jack Lemmon and Lee Remick); and in Winterset, presented by Playhouse 90 in 1959. She was again lured to Hollywood by the offer to co-star with Paul Newman in The Hustler, which was released in 1961. She played Newman's girlfriend, Sarah Packard, and for her performance she received an Academy Award nomination for Best Actress. Substantial movie roles did not come her way after The Hustler, so she and her husband moved to New York. In 1964, she appeared in two medical dramas — as Alicia Carter in The Eleventh Hour episode "My Door Is Locked and Bolted", and as Alice Marin in the Breaking Point episode "The Summer House". In 1965, she starred in a Broadway revival of Tennessee Williams' The Glass Menagerie, opposite Maureen Stapleton, Pat Hingle, and George Grizzard. Laurie did not appear in another feature film until she accepted the role of Margaret White in the horror film Carrie (1976). She received an Oscar nomination for Best Supporting Actress for her performance in that role, and it, along with the commercial success of the film, relaunched her career. Her co-star, Sissy Spacek, praised her acting skill: "She is a remarkable actress. She never does what you expect her to do—she always surprises you with her approach to a scene." In 1979, she appeared as Mary Horton in the Australian movie Tim opposite Mel Gibson. After her 1981 divorce, Laurie relocated to California. She received a third Oscar nomination for her portrayal of "Mrs. Norman" in Children of a Lesser God (1986). That same year, she was awarded an Emmy for her performance in Promise, a "Hallmark Hall of Fame" television movie, co-starring James Garner and James Woods. She had a featured role in the Off-Broadway production of The Destiny of Me in 1992, and returned to Broadway for Lincoln Center's acclaimed 2002 revival of Paul Osborn's Morning's at Seven, with Julie Hagerty, Buck Henry, Frances Sternhagen and Estelle Parsons. In 1990-91, she starred as the devious Catherine Martell in David Lynch's television series Twin Peaks. She also appeared in Other People's Money with Gregory Peck (1991), and in horror maestro Dario Argento's first American film, Trauma (1993). She played George Clooney's character's mother on ER. In 1997, she appeared in the film A Christmas Memory with Patty Duke (then known as Patty Duke Astin), and in 1998, she appeared in the sci-fi thriller The Faculty. She made guest appearances on television shows such as Frasier, Matlock, State of Grace, and Will & Grace. Laurie also appeared in Cold Case and in a 2001 episode of Law & Order: Special Victims Unit entitled "Care", in which she played an adoptive mother, and foster grandmother, who killed one of the foster granddaughters in her daughter's charge, and who abused her adoptive son and foster grandchildren. She returned to the big screen for independent films, such as Eulogy (2004) and The Dead Girl (2006), opposite actress Toni Collette. conferred on her an honorary Doctor of Fine Arts. In 2000, she received "The Spirit of Hope Award" in Korea for her service during the Korean War. Laurie is a sculptor working in marble and clay and exhibits her work. As of 2010, she still resides in Southern California; her daughter is in New York. She appeared at the September 2014 Mid-Atlantic Nostalgia Convention in Hunt Valley, Maryland. Laurie won a Primetime Emmy Award for Outstanding Supporting Actress in a Miniseries or a Movie for her role in the 1986 TV movie Promise, opposite James Garner and James Woods. In addition, she received several Emmy nominations, including one for playing Magda Goebbels, wife of Joseph Goebbels, in The Bunker, opposite Anthony Hopkins as Hitler; and for her role in the miniseries, The Thorn Birds, two nominations for her work in Twin Peaks, as Catherine Martell, and a nomination for her guest appearance on Frasier. She has been nominated for an Academy Award for her performances in three films. Naked City Mary Highmark Episode: "Howard Running Bear Is a Turtle"
1985 Murder, She Wrote Peggy Shannon Episode: "Murder at the Oasis"
The Twilight Zone Aunt Neva Episode: "The Burning Man"
1986 Matlock Claire Leigh Episode: "The Judge"
1989 Beauty and the Beast Mrs. Davis Episode: "A Gentle Rain"
Frasier Marianne Episode: "Guess Who's Coming to Breakfast"
Diagnosis Murder A.D.A. Susan Turner Episode: "The ABC's of Murder"
1997 Touched by an Angel Annie Doyle Episode: "Venice"
1999 Frasier Mrs. Mulhern Episode: "Dr. Nora"
2000 Will & Grace Sharon Episode: "There But for the Grace of Grace"
2001 Law & Order: Special Victims Unit Dorothy Rudd Episode: "Care"
2004 Dead Like Me Nina Rommey Episode: "Forget Me Not"
2005 Cold Case Rose 2005 Episode: "Best Friends"
2018 MacGyver Edith Episode: "Skyscraper - Power"
^ "Piper Laurie Biography". filmreference. 2008. Retrieved September 1, 2008. ^ a b Richard G. Hubler (June 20, 1953). "Article From Colliers Magazine". Colliers. Archived from the original on August 3, 2009. Retrieved September 26, 2008. ^ Piper Laurie profile at Yahoo! ^ Laurie, Piper (2011). Learning to Live Out Loud: A Memoir. New York: Crown Archetype. p. 357. ISBN 9780823026685. ^ a b c d "Why I had to reject Hollywood". The Jewish Chronicle. Retrieved December 31, 2015. ^ "'Julie Adams at 85'". Great Entertainers Archives.com. April 9, 2012. Retrieved October 17, 2015. ^ Daniel Bates, "Virgin starlet claims Ronald Reagan was a 'show-off' in bed after seducing her on set of 1950s film in which he played her father", The Daily Mail, 2011-11-14. Retrieved 2013-07-18. ^ "Francis Goes to the Races". Leonard Maltin Classic Movie Guide. Turner Entertainment Networks. Retrieved December 30, 2015. ^ "Son of Ali Baba". Leonard Maltin Classic Movie Guide. Turner Entertainment Networks. Retrieved December 30, 2015. ^ "Ain't Misbehavin". Leonard Maltin Classic Movie Guide. Turner Entertainment Networks. Retrieved December 30, 2015. ^ a b c d e "Playing One of the Kinkiest Villains Ever Seen on TV, Piper Laurie Reaches Another Acting Crest in Twin Peaks". Time Inc. Retrieved December 30, 2015. ^ IMDb reports that in 1955, when she received another script for a Western and "another silly part in a silly movie", she burned the script and called her agent, saying she did not care if they fired her, jailed her, or sued her. ^ "Twelfth Night". Turner Entertainment Networks. Retrieved December 30, 2015. ^ O'Connor, John J. (November 27, 1983). "Home Video: New Cassettes of Old Favorites". The New York Times. Retrieved December 30, 2015. ^ "Days of Wine and Roses". Turner Entertainment Networks. Retrieved December 30, 2015. ^ "Winterset". Turner Entertainment Networks. Retrieved December 30, 2015. ^ "Watch The Eleventh Hour". TV Guide / CBS Interactive. Retrieved December 30, 2015. ^ "Breaking Point 1963-64". Classic TV Archive. Retrieved December 30, 2015. ^ "The Glass Menagerie". Playbill Inc. Retrieved December 30, 2015. ^ "Tinseltown Talks: Piper Laurie goes from Gipper to Carrie". Thde Oakland Press. Retrieved December 31, 2015. ^ "'TIM,' A ROMANTIC DRAMA FROM AUSTRALIA". The New York Times. Retrieved December 31, 2015. ^ Sherrod, Kerryn. "Children Of A Lesser God". Turner Classic Movies Database. Turner Classic Movies. Retrieved December 31, 2015. ^ Roberts, Jerry (June 5, 2009). Encyclopedia of Television Film Directors. Laanham, Maryland: Scarecrow Books/Google Books. p. 862. ISBN 9780810861381. ^ "The Destiny of Me; Larry Kramer Tells His Own Anguished Story". The New York Times. Retrieved December 31, 2015. ^ "Wry Smiles At the Pitfalls Of Closeness". The New York Times. Retrieved December 31, 2015. ^ "DeVito is low and delicious in 'Other People's Money'". The Baltimore Sun. Retrieved December 31, 2015. ^ "TLA Video & DVD Guide 2005: The Discerning Film Lover's Guide". St. Martin's Griffin / Google Books. Retrieved December 31, 2015. ^ "A Christmas Memory (1997)". The New York Times. Retrieved December 31, 2015. ^ a b c d e "Piper Laurie". Full Moon Films. Retrieved December 31, 2015. ^ a b c d e "Piper Laurie List of Movies". CBS Interactive / TV Guide. Retrieved December 31, 2015. ^ "Overview for Piper Laurie". Turner Entertainment Network. Retrieved December 31, 2015. Wikimedia Commons has media related to Piper Laurie. – Interview with Piper Laurie. The Spectrum, January, 2016.